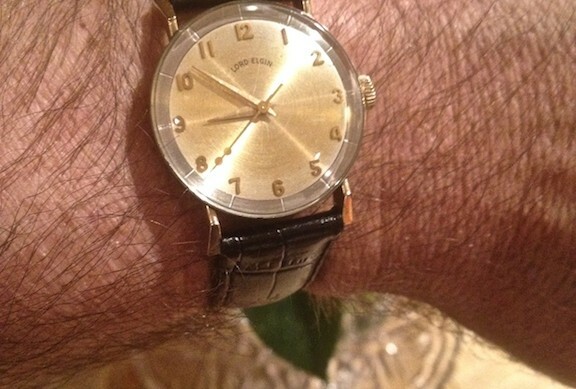 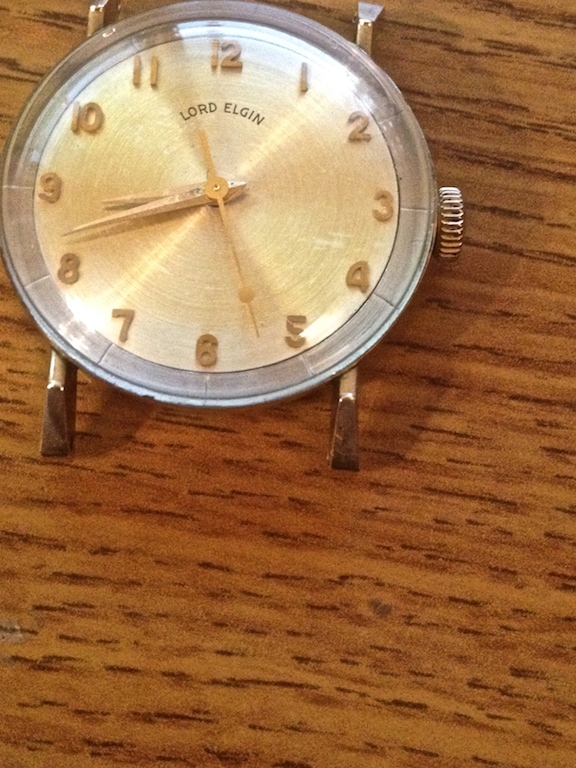 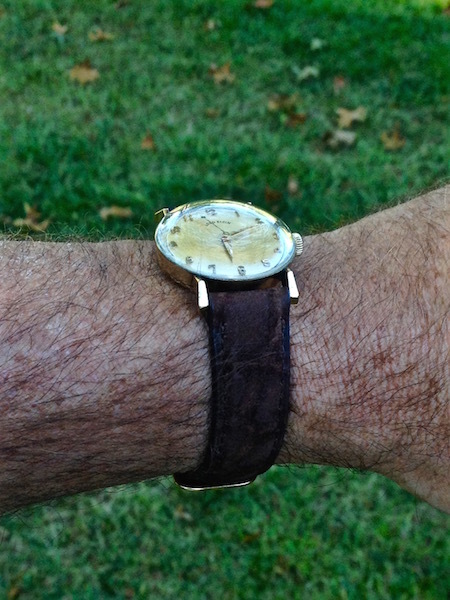 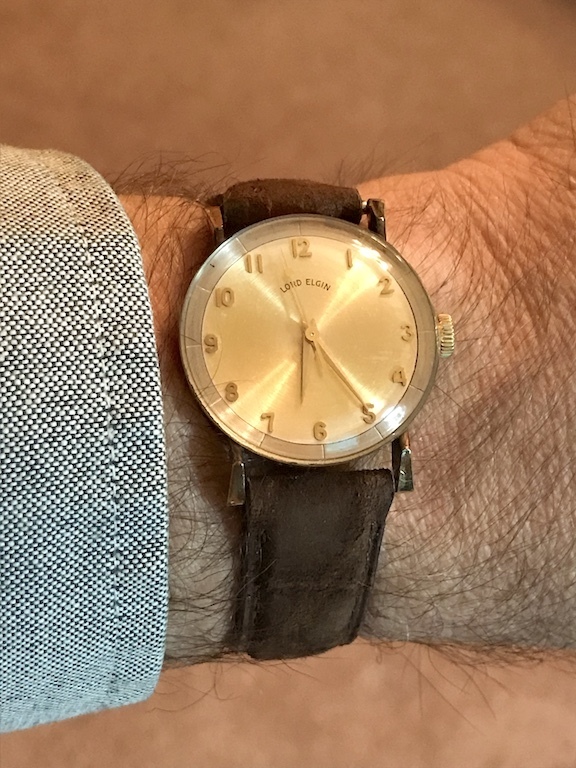 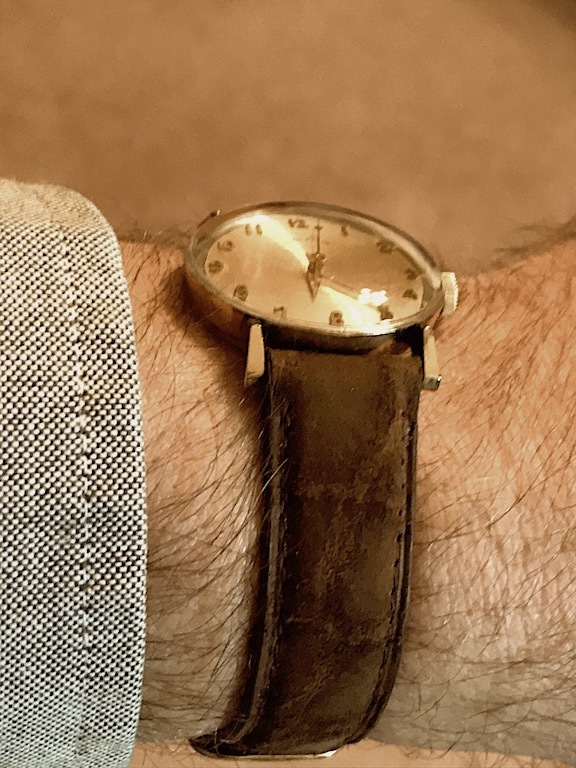 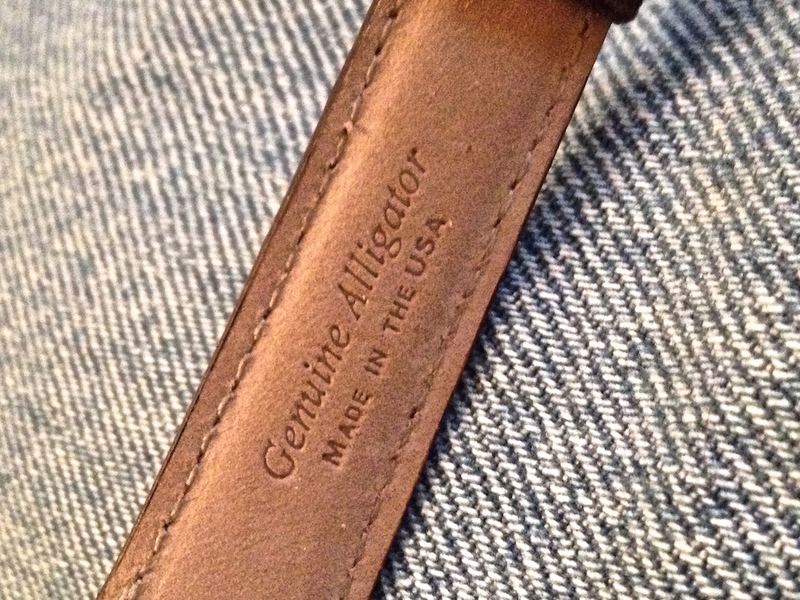 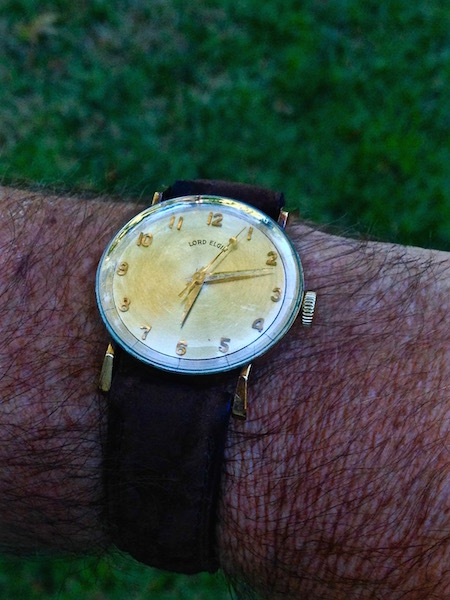 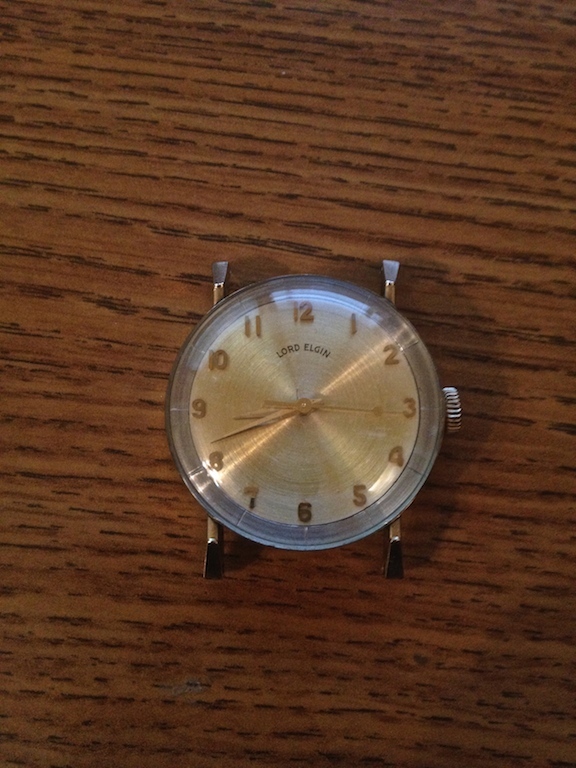 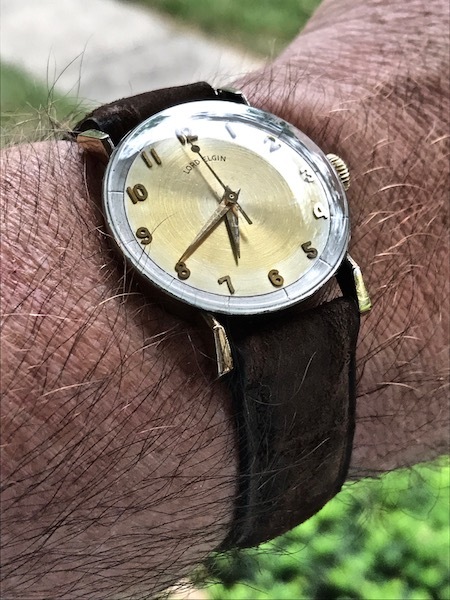 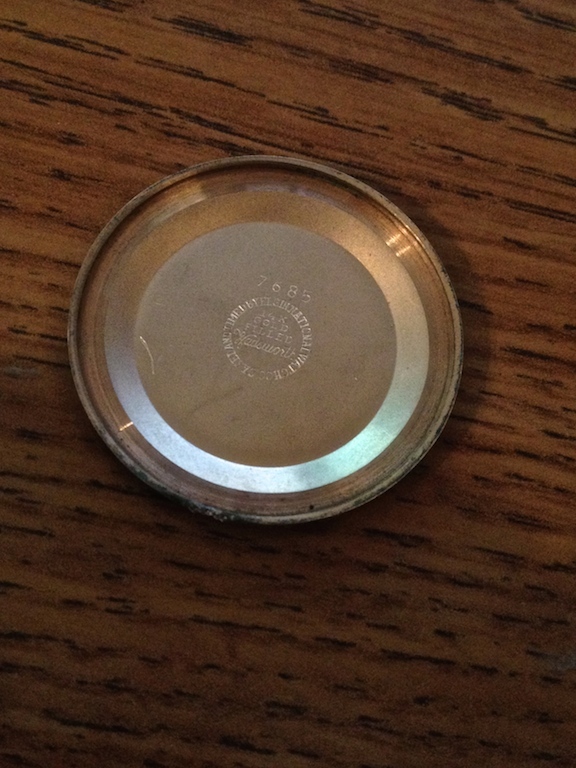 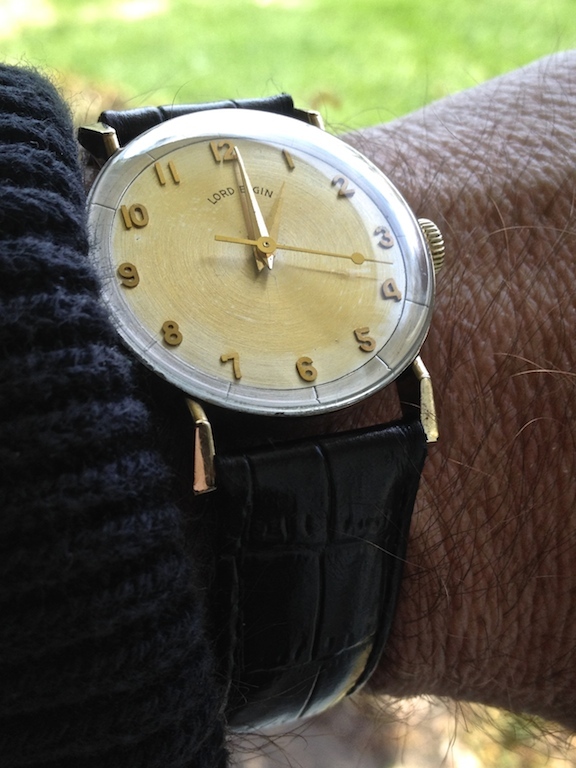 Lord Elgin (Horizon Line) Case 7685 | Grumpyguy Inc. 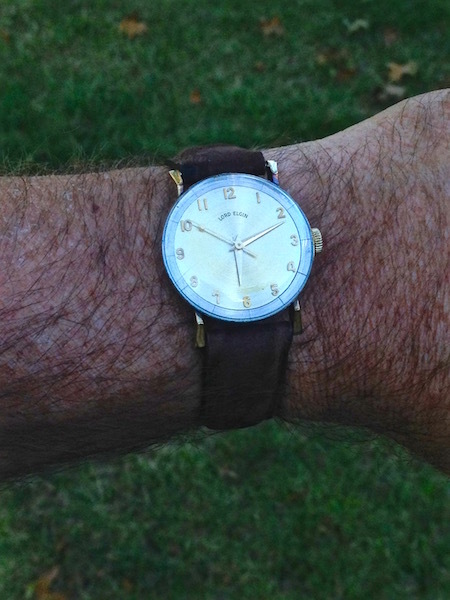 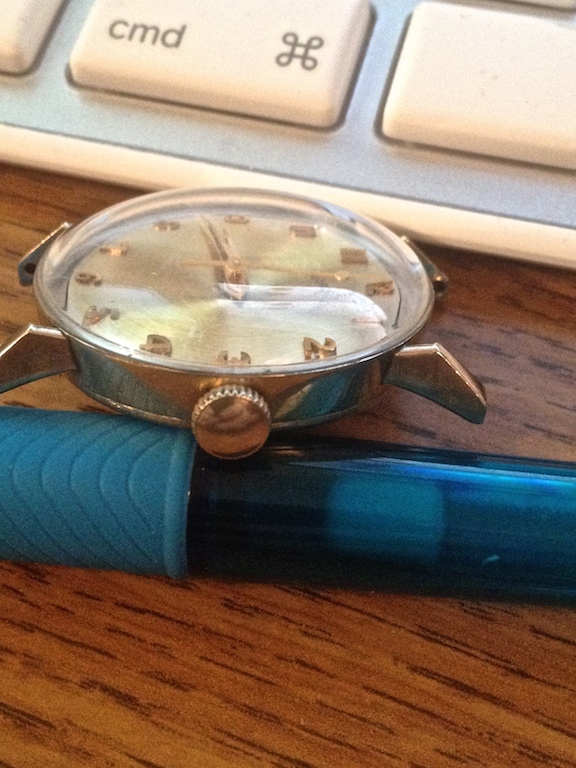 I don’t have a name for this model, but it uses the same case, crystal, and inner bezel as my Meridian. 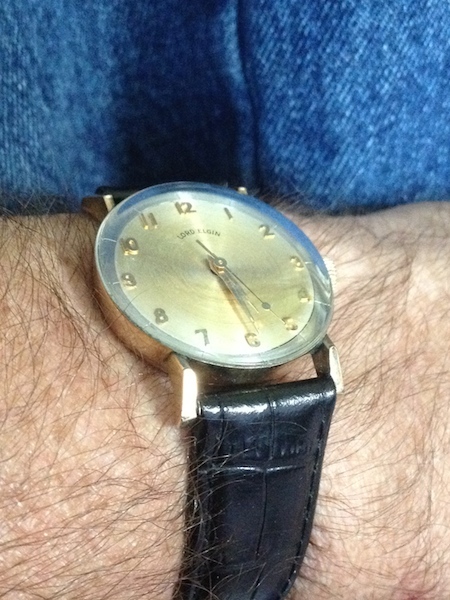 The Meridian has a case number of 7684, while this one has 7685. 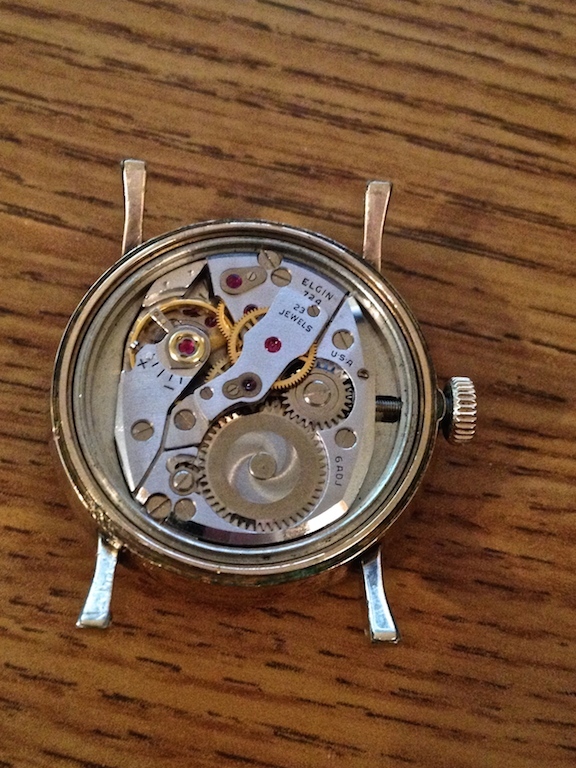 The watch measures 30mm from 10 o’clock over to 4 and it uses the 23 jewel 724 movement which has 6 adjustments. 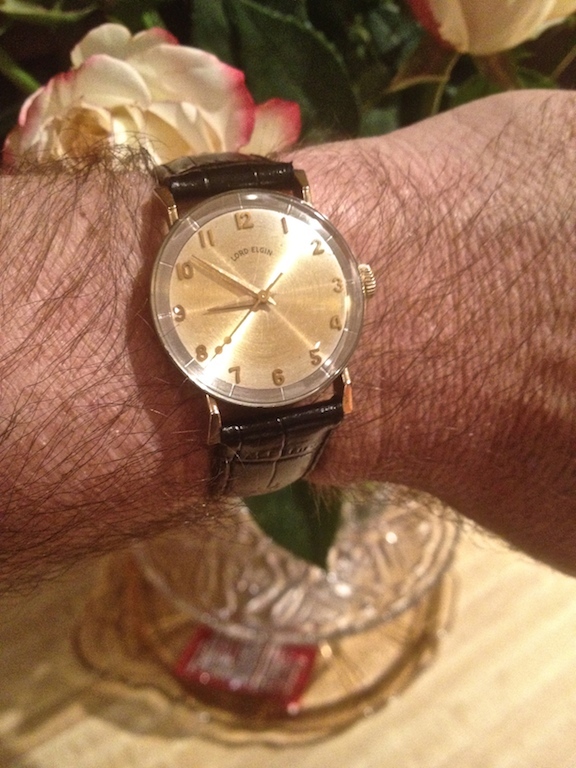 I put on a new GS crystal and polished it a bit, but all in all, it is in great shape except from some brassing on the lugs.